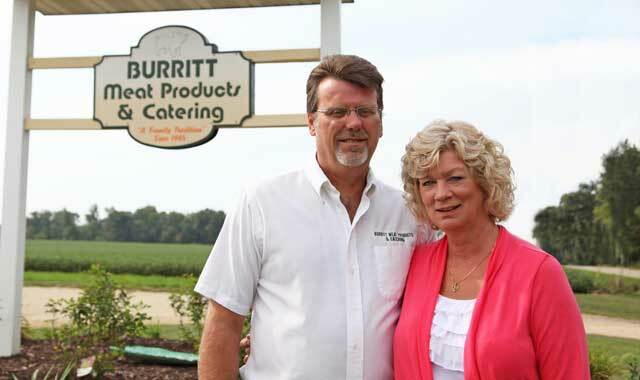 Success Story: Burritt Meat Products & Catering Inc.
See how the owners of this longtime company are finding new opportunities through its new, more visible location. Allen and Sharon Ferling offer catering, carry-out and an extensive retail selection of hand-cut meats at Burrit Meat Products & Catering. Allen Ferling grew up in the meat business, working with his grandfather, the late Dwight Jewell, who founded Burritt Meat Products in 1945 and named his business after Burritt Township. Until last year, Allen and wife Sharon ran Burritt Meat Products & Catering Inc. from its original location in Winnebago. But when Jim & Gary’s, 122 S. Jackson Road, Pecatonica, came up for sale last year, the Ferlings decided to buy it and relocate to the highly visible and accessible retail location along Highway 20. This business decision gave them room to expand. Many of Jim & Gary’s staff members stayed on with Burritt Meat Products, including Gary Johnson, who formerly co-owned the location with son Jim. About a third of the business is catering and carry-out, and about two-thirds is retail. The storefront is bright, attractive and adorned with decorative pigs of all sizes and shapes. At the heart of the cheerful atmosphere are staff members who enjoy interacting with customers, answering their questions about cuts of meat and cooking methods. If a customer wants a cut of meat that isn’t displayed, the staff will gladly cut it to order. Spotless storefront cases are filled with fresh cuts of beef, pork and naturally raised chicken, all sourced from the Midwest and raised without growth hormones. All meat is cut in-house, in a temperature-controlled environment. Ground beef is immediately frozen, rather than displayed in a cooler. Some cuts are dressed with special rubs or stuffings, such as habañero-stuffed pork chops, bacon-wrapped filets, chicken breast stuffed with provolone and asparagus or mushrooms, all ready for the grill. The business also makes all of its own sausage, bratwurst, jerky and landjaegers. They smoke their own hams and bacons, and, if you wish it, will smoke your holiday turkey. In the fall they sell fresh Ho-Ka turkeys from Waterman, Ill., naturally raised without growth hormones or additives. “There’s just no comparison in flavor between the fresh and frozen turkeys,” says Allen. Burritt Meat Products also prepares catered meals for family gatherings, weddings, anniversaries, graduations and birthdays, as well as many corporate events and concession events, regardless of size. Most of the events Burritt caters are within a radius that stretches roughly from Belvidere to Freeport, Beloit to Oregon. “We’re only restricted in distance by the feasibility of keeping hot foods hot and cold foods cold,” says Sharon. The extensive catering menu includes about 35 entree options, from pot roast and steak to chicken Kiev and pastas; more than a dozen sides, like sweet potato soufflé, wild rice with mushrooms or cheesy potatoes (a longtime Jim & Gary’s favorite recipe); seven vegetable options; about 20 salads, from Seven Layer to Hawaiian; about 20 cold and hot appetizers, such as shrimp with cocktail sauce or bacon-wrapped water chestnuts; and assorted breads and freshly made in-house desserts. The retail store regularly sees customers from Chicago, Galena and Wisconsin. Because today’s families are on the go, the Ferlings dedicate one freezer case to fully cooked heat-and-eat meals, prepared in-house. Another freezer is stocked with seafoods including salmon, tuna, mahi-mahi, haddock, walleye, bluegill and shrimp. There’s also a large variety of beef, pork, lamb and chicken. Another cooler holds deli-style cut meats, sausage prepared in-house and cheeses freshly made and delivered from Wisconsin. Jars of Amish-made salsas, jellies, sauces, pickled vegetables, olives, marinades and preserved fruits line shelves, all prepared in Illinois. All of the breads, desserts and salads are made in-house from old family recipes, such as pumpkin bars with cream cheese icing and fresh pies with flaky lard crusts. Burritt Meat Products sells 500 to 600 pounds of pulled pork a week, and about 1,500 pounds during the annual Winnebago County Fair. In addition to retail sales and catering, the business also offers lunch sandwiches Tuesday through Sunday, and carry-out dinners Wednesday through Friday, from 4 to 6 p.m. The dinners each night include a choice of three entrees of meat, a choice of three sides from a variety of 10, and a choice of three styles of dinner rolls. “They’re very reasonably priced, but it’s best to call ahead and place your order, as we often sell out of some items,” says Sharon. Sharon says the Burritt team works hard to keep up with demand, and enjoys the everyday challenges that come its way. As they celebrate the one-year anniversary of their new adventure, the Ferlings pause to look at all they’ve accomplished. 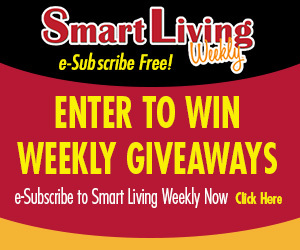 This entry was posted on Tuesday, October 30th, 2012 at 11:56 am	and is filed under Northwest Business Magazine. You can follow any responses to this entry through the RSS 2.0 feed. Both comments and pings are currently closed.